A Prolimit Surf / Kite Performance Double egy könnyű utazótáska directional kite deszkákhoz. Komplett felszerelésekhez. 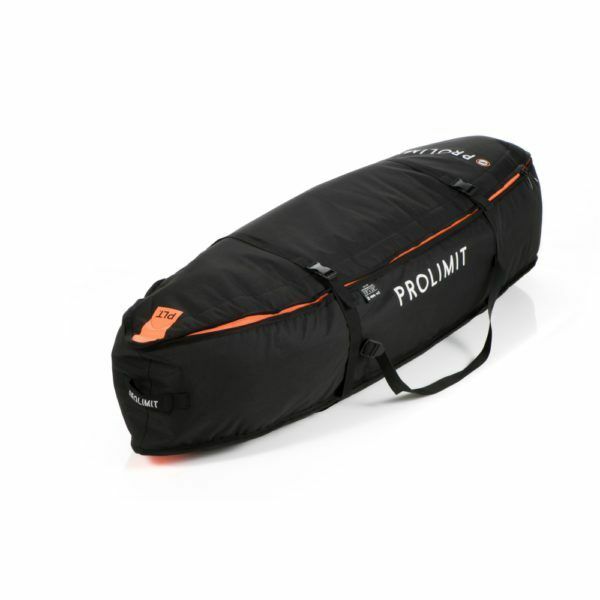 The Prolimit Surf/Kite Performance Double is the easy travelbag for directional kite boards. Bullet proof and fit more than your complete quiver. High density 12mm side wall padding for the best protection and constructed from tough 600D polyester. Kapcsolódó linkek "PL Boardbag Surf/Kite Performance Double Black/Orange"
Vásárlói értékelés "PL Boardbag Surf/Kite Performance Double Black/Orange"